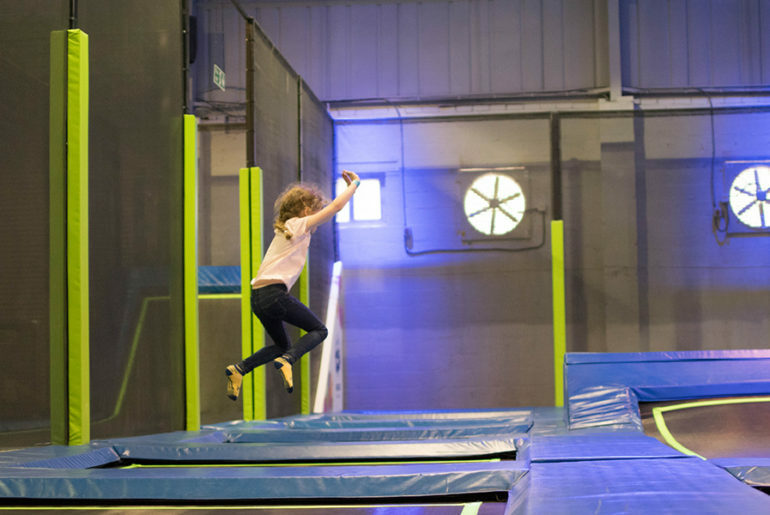 For years I have scrolled through my instagram feed and looked longingly at the amazing trampoline parks that have been taking the nation by storm. 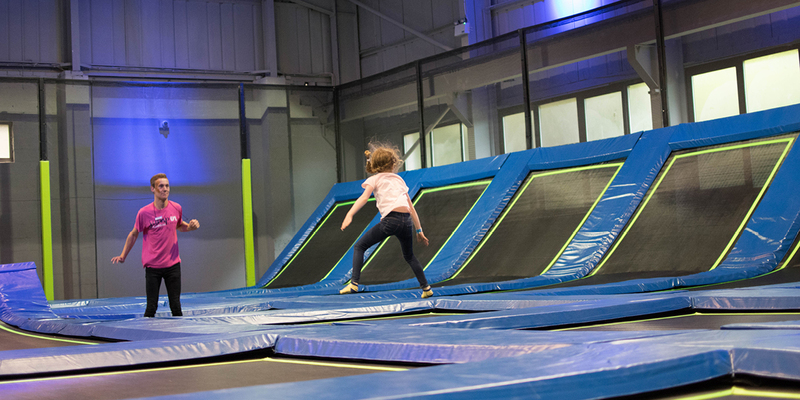 Up here in the North of Scotland we didn’t have anything within a 6 hour commute, that is until Jump In Trampoline Park opened it’s doors in Aberdeen in July. We were thrilled to be invited along for a special event preview, alongside the lovely Amy from Amy Being Mum (and her brood!) and it certainly didn’t disappoint! 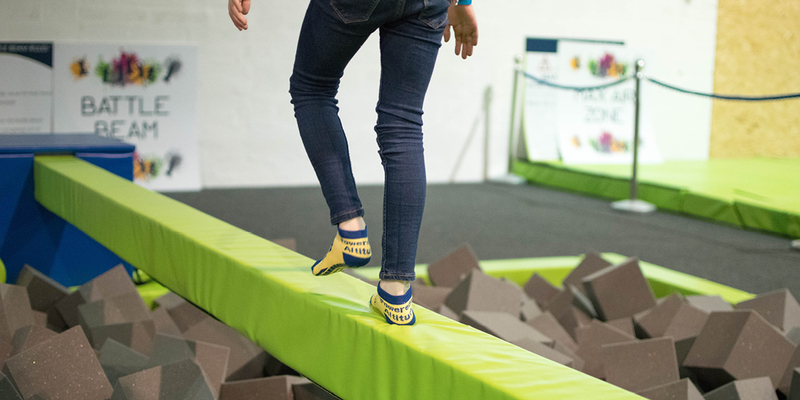 As soon as you enter, you are required to complete the relevent waiver forms and buy your pair of special ‘grippy’ socks (£2 per pair and you keep them) before you are ushered to the briefing room to watch a safety video, lasting around 4 minutes. 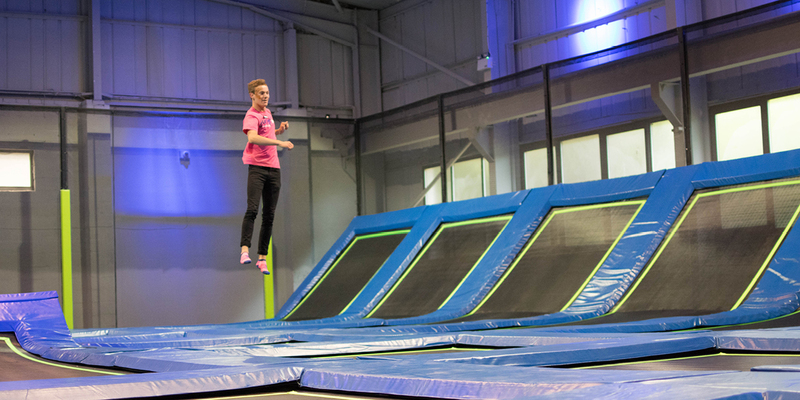 What facilities does Jump In Trampoline Park Aberdeen Have ? 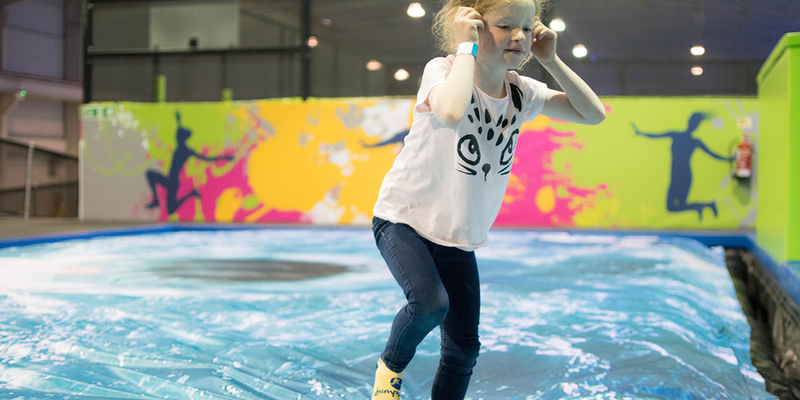 Once we were ready to go, we got a special guided tour of the facility, which includes a multi level soft play area, under 5’s trampoline section, obstacle foam pit, 3 tier jump boards, dodge/basket ball section and standard trampoline area. 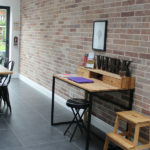 There is also a cafe (selling takeaway style pizza, snacks and coffee, soft drinks and slush), ample seating area and free lockers. 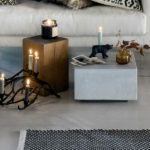 The staff were absolutely fantastic, knowledgable and energetic. There wasn’t a moment where there weren’t joining in, dancing with the kids and showing them what to do. I didn’t partake due to back problems (sadly!) but the staff were great at playing dodge ball with them, showing them moves and jumps to try to encouraging them to try something new. 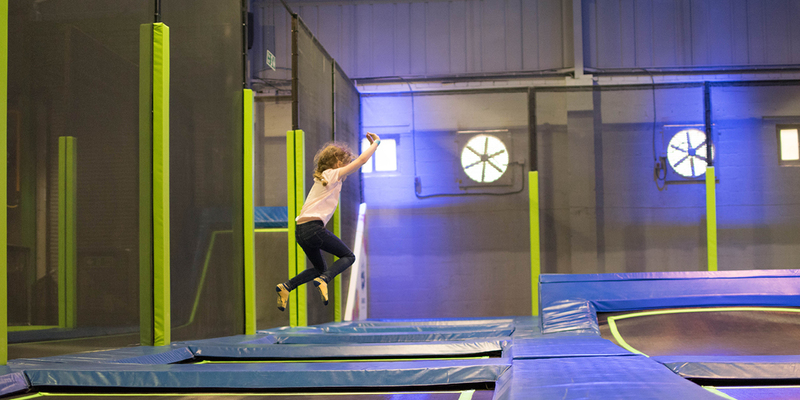 How Much Does Jump In Trampoline Park Aberdeen Cost? 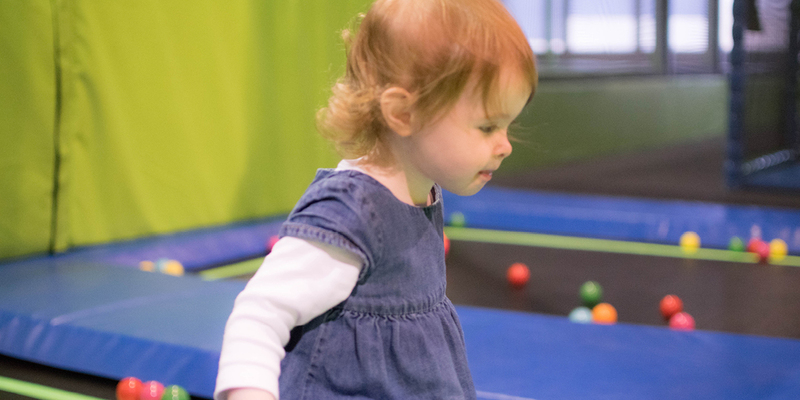 Under 5’s are £5 (offpeak) and £9 (peak) for a 2hr session. Over 5’s pay £8 (off peak) and £10 (peak) for a 1hr session. There is the option to add an additional hour onto this for £5 (off peak) and £6 (peak). 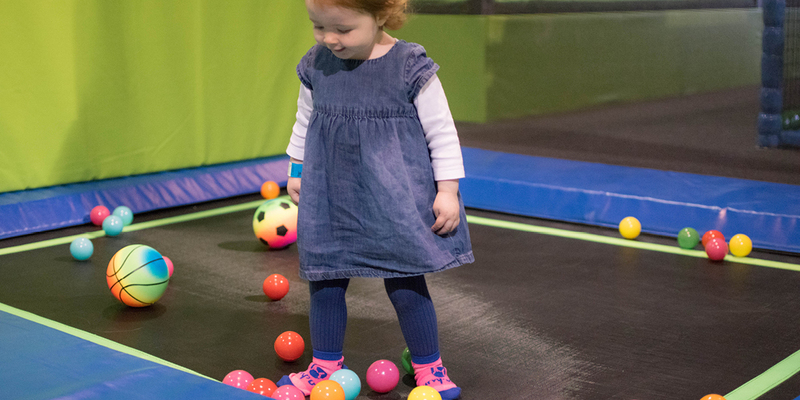 They are planning various classes, evening sessions and mother and baby sessions which you can keep track of prices and launch news on the Jump In Aberdeen website. Booking in advance is recommended. Not only will you save a £1 walk in charge, but you don’t want to turn up to a fully booked park and have disappointed kids.